The product feed, which is managed through the Google Merchant Center, contains all the important and relevant information about the products you sell. The attributes contained in the product feed are used to help Google decide which ads (products) to match for which queries, and the details in the feed can be pulled into the Product Listing Ad itself (PLAs are search ads that include product images and prices). For example, be sure to include the most important keywords in the product titles. 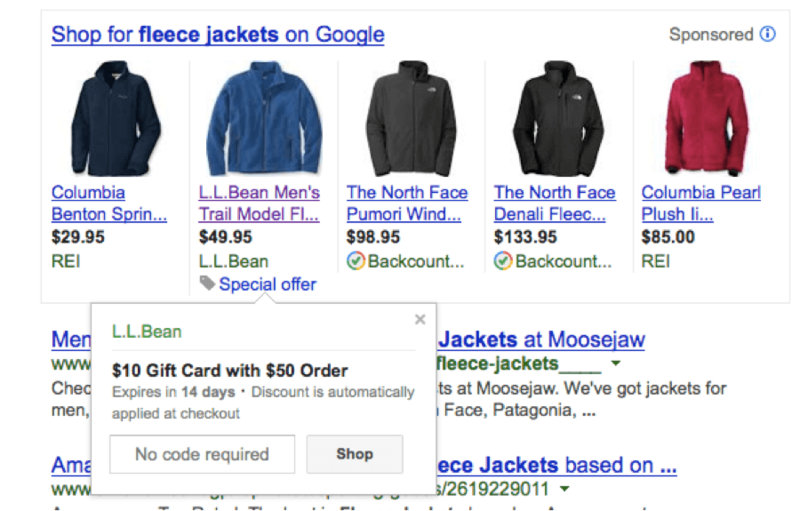 Sure, Google makes it easy to launch a Product Listing Ad campaign by offering an auto-target option. You can link your merchant center feed to AdWords and press go, however if you want to succeed and optimize the best performing products, take the extra time during set up and create an ad group for each product. Even though the Product Listing Ads don’t display based on the traditional keyword paradigm, you can use negative keywords to better control which product ads show for which keywords. Run search query reports and enact negative keywords to prevent your products from showing on inappropriate or mismatched queries. You can’t write specific ad copy for PLA’s, but you can include a special offer. If you have one, use it. The extra check-mark logo included with your ads when you participate in these trusted programs allow you to stand out from your competitors.